Researchers at Florida State University and Stanford are developing an "online polygraph" that detects lies in text — without the contextual clues that can hint at deception in a face-to-face conversation. Details: In experiments, the researchers found that liars used more florid prose and often expressed certainty, while truth-tellers responded more slowly and with words like "perhaps," "guess" and "could." They designed a machine learning system that can pick up on these subtle cues to correctly separate out liars from truth-tellers about three-quarters of the time. The results were published in the journal Computers in Human Behavior. "You could use it for online dating, Facebook, Twitter — the applications are endless," says FSU researcher Shuyuan Ho, the paper's lead author, in an article published by the university. 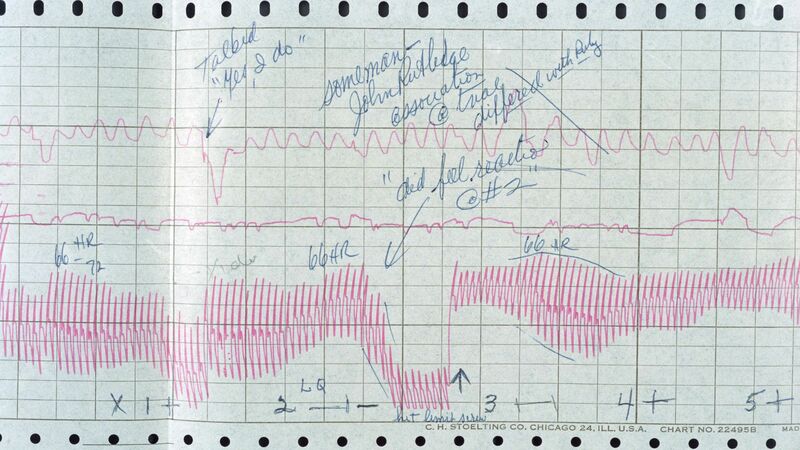 Our thought bubble: The accuracy of old-school polygraphs — the ones that output the seismic wiggles seen above — has long been in question. A new test would have to clear a high bar to prove that it's not calibrated only to a certain group of people. It also provokes thorny ethical questions about the prospect of automatic deception-monitoring in online spaces.